Everyone can sing a Soul Song. . . . .
Ruth Finlay: music teacher, musician, songwriter - Soul Song Singer. . . I have a message for you. If you have a voice you can sing! Not only that - you have a song vibrating deep in your soul. You actually have many songs in you! Are you being called intuitively to sing? Are you wondering how to begin? Are you wanting support? You have come to the right place! Maybe you sang when you were very young and loved it, but something shut you down. Maybe someone you respected told you you couldn't sing. I am here to tell you that you can sing. You can follow your heart and jump back into music again. I have been a professional music teacher for 25 years. I believe that singing is an essential part of self expression. You now have the opportunity to fully retrieve and use your singing voice! And I go much deeper into singing than that. I teach my own unique methods which are designed to encourage, inspire and train you to sing with the voice you were gifted with. This voice is important and has its own expression of the divine. There is only one voice like yours and it is yours! The deepest song you can sing is in your soul and if you want to you can sing that song and many many more. "I am a professional singer but my singing was going through many challenges partially due to emotional trauma. My sessions in the Soul Song Workshop with Ruth helped me retrieve my voice and expand my range. I sing now with an open heart and experience creative freedom in my song writing. As I attend the workshops I get to know myself better. In my individual session with Ruth I experienced healing. This energy healing and song healing session healed a deep place within me and I felt completely liberated. Everyone has a Soul Song. . . . . . . . .
Everyone came into this world with a Soul Song. Even those with no voice have their own unique expression of soul in dance or some other form unique to themselves. 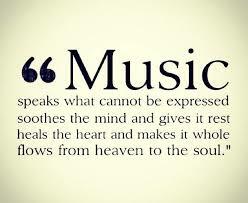 A Soul Song is a song that resonates with your whole being and emanates from the heart or the seat of the soul. It is the perfect song for you to express your joy, your love, your light, your longing, your life and your being in any moment. Everyone is an instrument - a living instrument. The human voice is capable of being the most attractive sound in the world. The voice can create sounds that express life in our world. It is as if you have a well within you - a Soul-Song Well. Singing from that "Well" is the most powerful expression of the voice. We each have a song to express and share but there is only one you with your own unique song. From this Soul-Song Well comes many forms of expression. Singing from the well of Your Soul Song is not difficult. . . . But you may need a method to assist you in connecting with it and expressing it. calm relax and clear your stress with EFT tapping. Singing from the well of your Soul Song is not difficult. . . . . 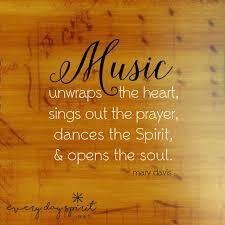 In the Sing Your Soul Song Workshop we access music from our soul. That is why we go into deep sound meditation. The music, song, words or sometimes even dance that come forth are just one part of the huge symphony of you. Yes, you are a symphony of sound and only you have that particular symphonic sound. It is your Soul Song. We can create many songs from the "Well" of our Soul Song. This is a natural easy flowing gift for some of us. Others require some assistance to find their song. We do this with a method of practice. In the Sing Your Soul Song Workshop we follow this practice and we find that we are creating from the "Well" of our souls. We are able to heal our hearts through sound and song. We can also bring joy and ecstasy to ourselves in a natural way. By singing our soul song we expand our awareness and develop connections to the Soul World and with each other. We just feel better! Beloved one. Don't miss the opportunity to jump in the beautiful waters of song. . . .
You may feel that you cannot sing or that you could never express your deep personal song. But that is not true. That is just what you believe or what you have been told by others. So. . . . here's the good news! If you can speak you can sing. You just have to know how to start. Download Ruth's Music on "Band Camp"
The Borderlands, Awake North Wind, Sing Your Soul Song Chakra Meditation, Inspirational Soul Songs, Soul Food Spectacular, Stay, and Vocal Exercises You can also enjoy streaming her music there.​ Just press play and listen. Ruth is conducting private sessions in her home studio in located in the East End of Toronto close to Woodbine and Danforth Avenues. Piano lessons and voice lessons are held at Kimbourne Park United Church 200 Wolverleigh Blvd. M4C 1V5. $80 per hour plus $10 for each practice CD. Ruth has special rates for monthly lessons. Children and Adults are welcome. 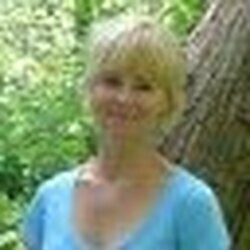 Call Ruth to book a private voice lesson or voice meditation: 416 693-9880. Use the contact form below. Press the button to go to the contact form page.